The clean well-kept Son Parc beach is very natural and unspoilt, which is all the more remarkable as it is one of the best beaches on the island in a stunning setting of atmospheric sand dunes and the dramatic, rugged coastline. However you can still hire sunloungers and parasols, pedaloes and canoes as well as find refreshments at two beach bars. This area is protected as a Marine reserve so the underwater world is well stocked with all kinds of creatures, and ideal for snorkelling as the water is exceptionally clear. If you need a change from the beach, try the nearby 18-hole golf course which is open to everyone and has a good restaurant and bar. There are also tennis courts if you prefer a racquet to a club!The clean well-kept Son Parc beach is very natural and unspoilt, which is all the more remarkable as it is one of the best beaches on the island in a stunning setting of atmospheric sand dunes and the dramatic, rugged coastline. However you can still hire sunloungers and parasols, pedaloes and canoes as well as find refreshments at two beach bars. This area is protected as a Marine reserve so the underwater world is well stocked with all kinds of creatures, and ideal for snorkelling as the water is exceptionally clear. If you need a change from the beach, try the nearby 18-hole golf course which is open to everyone and has a good restaurant and bar. There are also tennis courts if you prefer a racquet to a club! There are bars and restaurants to be found on the main street, a small commercial strip where you will also find some basic shops and a supermarket if you need some supplies for your villa. The nightlife is pretty low key in this quiet holiday resort. 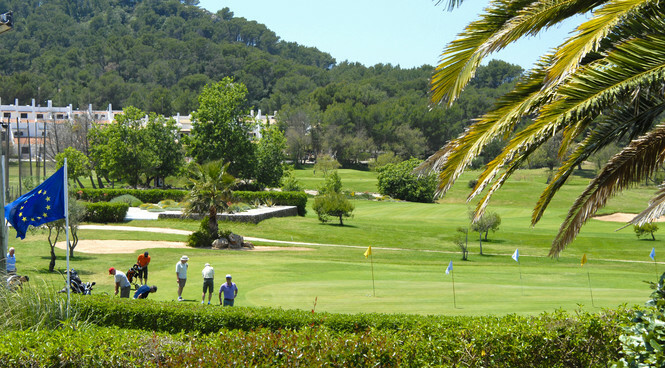 Son Parc is about 20 kilometres west of Mahon and 7 kilometres east of Fornells. There are local bus services to both Mahon and Fornells daily except Sunday, and both are worth a visit while you are here. Fornells, popular with Spanish royalty is a peaceful fishing village with one of the biggest natural harbours on the island, attracting its fair share of stylish yachts. There is a series of small beaches around the bay, along with the island of Las Sargantanes, where there is a fort that was built under British rule. The sheltered bay stays calm even when it’s windy, making Fornells a great centre for watersports such as diving, windsurfing and sailing. It has a number of outstanding fish restaurants. One of the local specialities is lobster stew. Mahon with its busy port, twice weekly market and bustling shopping streets is the island’s capital. Until 1721 Ciutadella was the capital, but when the British were in charge they moved it to Mahon that year to take advantage of one of the largest natural harbours in the world. Mahon, known locally as Mao, is a lively city rich in history and culture, with a splendid Gothic cathedral. If you have time, visit the 18th-century gin distillery and well-preserved fort. Or you might prefer to browse round interesting independent shops selling leather and pottery as well as the stylish boutiques, before sampling the highly recommended cakes and ice cream. Mahon is well known for its restaurants particularly around the harbour.